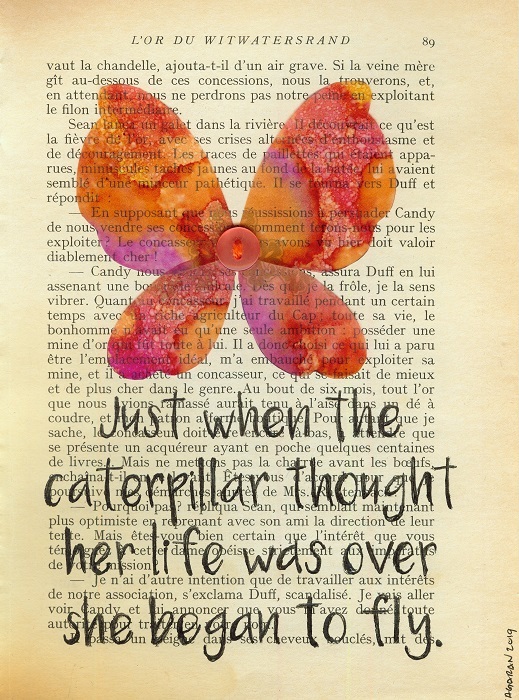 Just when the caterpillar thought her life was over she began to fly. While scrolling though quotes, I cam across this one. It really jumped out at me, and I thought about my friend’s sister that is going though a divorce. It must be so difficult for her and her children. But I know that she will prevail, just not like she had originally envisioned. The original is available for purchase, click here. Prints and other items with this piece available on Society6, just click.